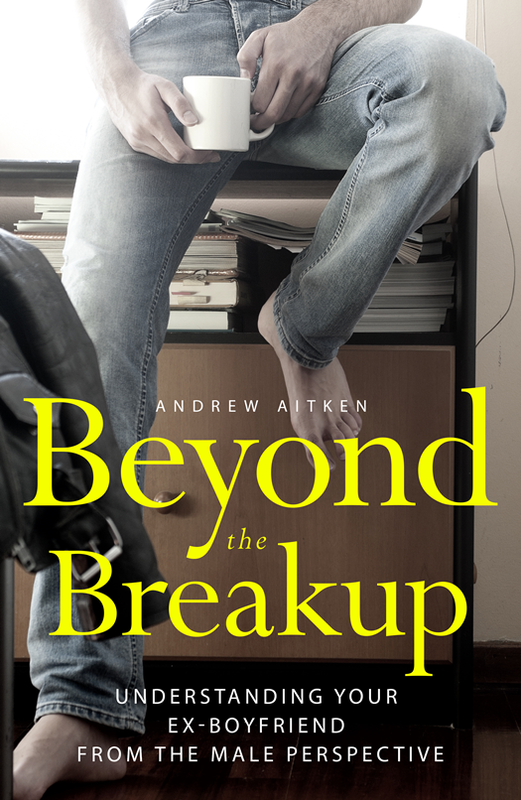 In July I posted an announcement that I’d finished working on a manuscript for a book about breakups. While I never committed to an exact release date, I mentioned that I expected to have it out within a few months. I certainly expected to have it edited and published before the end of the year. Clearly that hasn't happened, and I know from the emails and comments I receive that many of you are eager to read it, so I want to give you an update. Let me start by saying that the book is definitely still coming out. Content editing took longer than I anticipated, but is now complete. At the moment, the manuscript is undergoing copy editing, which I expect to have finished in a few weeks. In parallel I am working on the cover design, but I already have a few solid concepts, so this should be finished before the editing, so hopefully this won’t hold things up. Once all that stuff is done, I’ll need to order a proof copy, make adjustments as needed, and proof again. How long that process will take is a little unclear, but I expect it won’t be more than a couple weeks. All said and done, I suspect the book will be out in a couple of months. To hold you over, below is a chapter list, which makes the content pretty transparent. The chapters are almost all very short, like a typical blog post, so don’t be intimidated by the chapter quantity. The full book will be about 200 pages. It is probably also worth pointing out that although some of the chapters have the same titles as blog posts, and are based around those posts, most of them have been significantly expanded. A couple have been almost completely re-written, notably the first two. More information is here in the original post about the book. I like a lot of your posts and would def support your book! Regarding your posting on color/complexions, I recently had a color analysis done and was wondering if you'd be willing to browse through a few pics and give me a male's opinion-? Definitively interested in checking that out. Are the Respective Chapters Really Going to Be Written in This (Quite Peculiar) Way? It's pretty normal for book chapter titles to be capitalized. This sounds like it's encouraging women to think about their ex way too much! If a guy dumps you, be done with it! All this analysing seems unnecessary. Where is the chapter on women improving themselves? Daphne, read the excerpt on the original book announcement post. It'd not about the ex, or the end of the relationship. It's about understanding, and the new beginning that follows the breakup. Andrew's insight has helped me through my toughest breakup, and put me on a path that (years later) lead to my happiest relationship yet. I've referred many of my friends to this website, and it's helped them as well. Long live Andrew and three cheers for his book! Daphne - if women actually didn't think about their exes waaaaay too much websites like this wouldn't exist and you wouldn't be on here yourself. Looking forward to reading 'Why Your Ex (Who Dumped You) Is Still Contacting You'. Because yeah, why? Are you still going to write a post on views on the "manosphere?" i have been interested on the past have either friendzoned me or made out with me and then didnt try to pursue a relathionship. (im still a virgin by the way, though that is not so rare for the country i live in, Chile) I think maybe its a personality problem? what do you suggest to "improve" my personality? or is it that i´ve been too easy by kissing the guys before they´ve asked me out? There will still be things in the book that you'll find useful, though of course a lot of it will not apply to your current situation. Being 19 and never having had a boyfriend does not mean there is a problem. This looks like a very original book on a very common topic, and I think it will stand out against its competitors. I like how you have each stage of a relationship broken down into relevant subsections. Although I am in a happy relationship, I find your blog before my relationship started and continue reading it because it is absurdly insightful. I will plan to buy your book. You've worked hard on it and I wish you the best of luck, Andrew! Are you publishing it under your real name or an alias? I look forward very much to your book and to future blog posts as well!! Thank you so much Andrew!! Whoever writes this blog is effin retarded. Andrew, this must have been requested before: since you write so much about the importance of being fit/ playing up one's appearance, when are you going to upload a photo of yourself? a "before and after" perhaps? Andrew, I have following your blog since you first started blogging, and I have to say I am looking forward to you releasing your book. I have been through many ups and downs in my relationships and I feel like your insights and advice were helpful. I definitely will be checking out your book.